Thirteen days later, he didn’t need to be disappointed. Saturday at Belmont, less than two weeks after going a mile and a quarter and finishing second in a Grade I, Swift Temper returned to take on favored Seventh Street in the Grade I Ruffian, a Breeders’ Cup “Win and You’re In” race, at a mile and a sixteenth. Reminding reporters that Swift Temper’s win in the Delaware Handicap on July 19th, when she beat Icon Project, had already earned the daughter of Giant’s Causeway a spot in the Breeders’ Cup Distaff Ladies’ Classic Filly and Mare Classic, Romans said that he hadn’t determined whether he’d train Swift Temper up to the Breeders’ Cup or race her on a synthetic surface before then. Swift Temper will remain at Belmont for the immediate future. 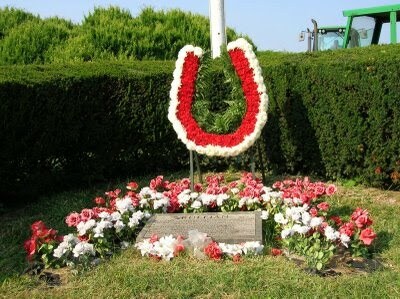 To honor the filly for whom the race is named and who is buried in the Belmont infield, a horseshoe of flowers is placed annually on Ruffian’s grave (photo from 2007). Racing today, Godolphin’s Seventh Street was trying to become the fourth horse to win both the Go For Wand and the Ruffian, both an admirable and a gruesome double. She finished second. 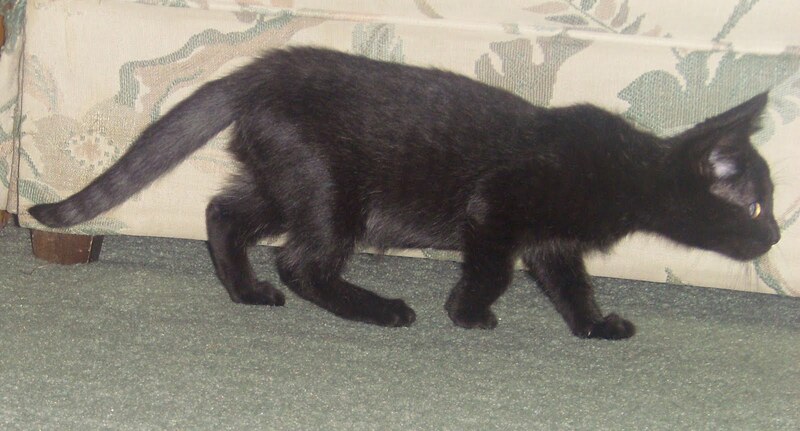 Ruffian the kitten, who arrives back in Brooklyn on Sunday for a visit, doesn’t love that she’s named for a horse whose life ended far too soon, but she is honored by the comparison and exhibits the speed, energy, and guts of her namesake…at least as much as a 3-pound kitten can do. ← Holy Egregious Oversights, Batman! Swift Temper raced on synthetics at Turfway Park, in her second start, on September 9th 2006. It was a one mile MSW. She finished 8th of 10…..22 3/4 behind the winner.While she is clearly a better horse now, judging by her dirt races shortly thereafter, it will hardly be surprising when when she becomes yet another victim of the idiocy of the BC. Her synthetic race is FAR AND AWAY her worst race ever.But, look at it this way, at least she didn't come out of it with a career ending hind end injury ( like so many others ). I was happy to see this mare back on short rest. It can be done!!! 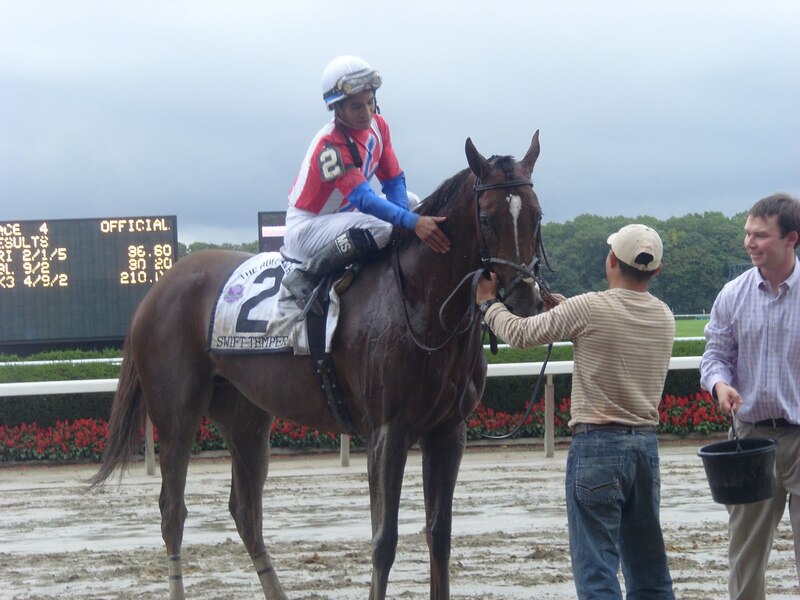 She managed to beat Icon Project in Delaware, so she's obviously a mare of high class.I was sad to see that in the winner's circle was a presenter from the Breeders' Cup and dale Romans and the jock. No owner, no member of the Janney family. 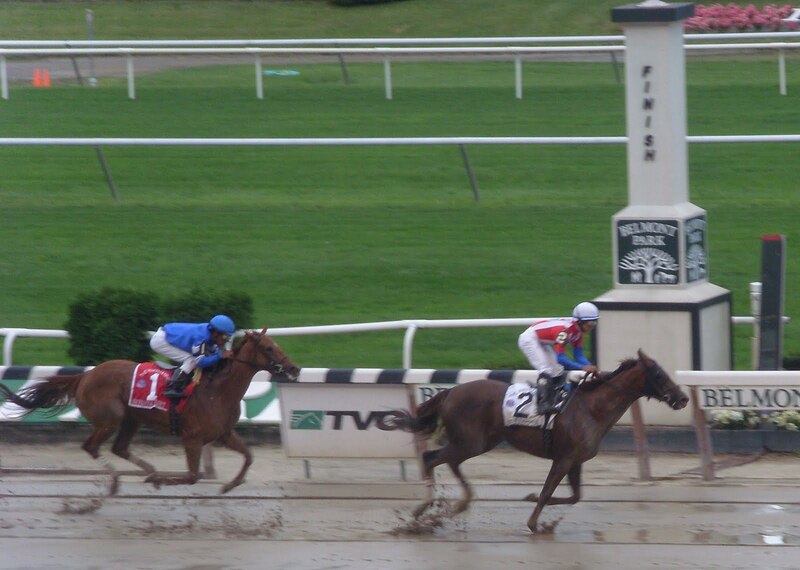 Brreders' Cup Ltd has backstabbed NYRA yet they get to present the trophy for a G1? Youshouldhave… Thanks for the info.Jeanne: That's what Win and You're In gets you, I guess.